How can bi folding doors increase indoor space? Bi folding doors can increase a large amount of indoor space, without even getting an extension.  This type of door is extremely functional and allows more natural light in; they are a definite favourite with the Crown Windows team! Find out more ways and reasons to how they are very beneficial for everyone as well increase space. Bi folding doors are very beneficial for those who are looking for a spacious area, these bi folding doors allow people to come back and forth with no hassle because this style of door gives people a lot more room to in the door way and without a door getting in the way. These doors allow your house to also look very big from the inside and the outside as the space increases. Having bi folding doors allows you to have both a lovely looking atmosphere from the inside and the outside, as they are very appealing and unique. These doors are very beneficial for all seasons, bi folding door allow the wonderful fresh air to enter your house, as well as showcases a fantastic view of your garden. Bi folding doors give you a wonderful summer feeling with your family and friends even when it is freezing outside! There are many different types of BI folding doors that you can choose from that makes you house have the lovely ambience you want. There are a variety of types of materials that you can choose from that you may think either fit with your house theme or just for particular preferences. The types include, aluminium bi folding doors, timber bi folding doors and composite bi folding doors.